global mode corresponding function: air bag kneading + heating + laser irradiation + infrared. Maintenance mode Corresponding function: air bag kneading + heating + laser. Relaxation mode Corresponding function: air bag kneading + heating + infrared. The sun is the source of life, in all the sun rays, far infrared rays can penetrate the skin and subcutaneous tissue, promote blood circulation, quickly absorbed by the living body, known as the “light of life”; carbon fiber heating wire power, , The carbon crystal molecules to do “Brownian movement”, carbon molecules friction and collision between each other, resulting in a large number of wavelengths in the 6 ~ 14um of the far red line. 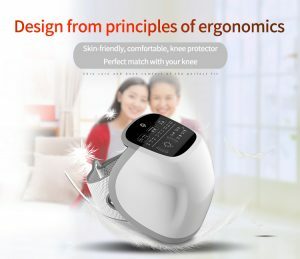 Product features: red light, laser therapy, kneading massage, far infrared heat, LCD touch display. 1. through 16 red light to promote cell metabolism and growth, to speed up wound healing. improve blood rheology parameters, play to eliminate inflammation, reduce blood viscosity and blood lipid. 3. through the airbag on both sides of the squeeze, through the blood, relieve knee pain. 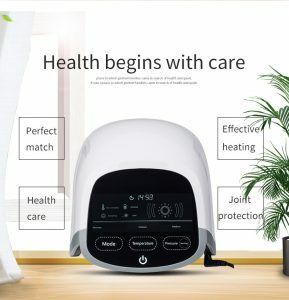 body, known as “the light of life”.laser treatment massager.